Trust, estate, business and tax planning attorney Jim Robinson takes a personal interest in the clients he represents, and is appreciated for his dedication to serving as a trusted adviser who cares about their businesses, family and goals for the future. Jim concentrates his practice on estate and corporate planning, working with families and closely held businesses on issues that range from the routine to the complex and involving succession, estate and gift, and sophisticated tax planning, wealth preservation and charitable giving. 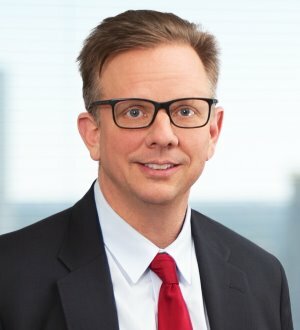 In addition, he provides fiduciary counseling and dispute resolution, advises tax-exempt organizations on formation and operations, and serves as counselor in trust, estate and federal wealth transfer taxation and related controversies. Easygoing and easy to work with, Jim is at his best when guiding clients through the often complicated tax, business and relationship challenges associated with wealth and business planning. An active and empathetic listener, Jim remains sensitive to the human aspects of succession and business planning, seeking to balance emotion with workable solutions to each client’s often unique circumstances and distinct dynamics. Prior to joining the firm, Jim was a partner in the private clients practice of another prestigious national law firm. He is a regular contributor to national publications and presentations across the country on estate planning issues. University of Colorado - Boulder, B.A.